January 5 is the fifth day of the year in the Gregorian calendar. 360 days remain until the end of the year(361 in leap years). Year 1477 (MCDLXXVII) was a common year starting on Wednesday of the Julian calendar. The Battle of Nancy was the final and decisive battle of the Burgundian Wars, fought outside the walls of Nancy on 5 January 1477 by Charles the Bold, Duke of Burgundy, against René II, Duke of Lorraine, and the Swiss Confederacy. Year 1209 (MCCIX) was a common year starting on Thursday of the Julian calendar. 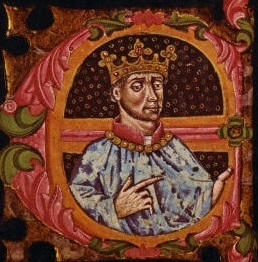 Henry IV of Castile, King of Castile, nicknamed the Impotent, was the last of the weak late medieval kings of Castile. During Henry's reign the nobles increased in power and the nation became less centralised. Abū Isḥāq Muḥammad ibn Hārūn al-Rashīd, better known by his regnal name al-Muʿtaṣim biʾllāh, was the eighth Abbasid caliph, ruling from 833 until his death in 842. A younger son of Caliph Harun al-Rashid, he rose to prominence through his formation of a private army composed predominantly of Turkish slave-soldiers (ghilmān). This proved useful to his half-brother, Caliph al-Ma'mun, who employed al-Mu'tasim and his Turkish guard to counterbalance other powerful interest groups in the state, as well as employing them in campaigns against rebels and the Byzantine Empire. When al-Ma'mun died unexpectedly on campaign in August 833, al-Mu'tasim was thus well placed to succeed him, overriding the claims of al-Ma'mun's son al-Abbas. 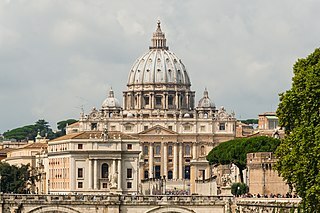 Pope Telesphorus was the Bishop of Rome from c. 126 to his death c. 137, during the reigns of Roman Emperors Hadrian and Antoninus Pius. He was of Greek ancestry and born in Terranova da Sibari, Calabria, Italy. Saint Simeon Stylites or Symeon the Stylite was a Syriac ascetic saint who achieved notability for living 37 years on a small platform on top of a pillar near Aleppo. Several other stylites later followed his model. He is known formally as Saint Simeon Stylites the Elder to distinguish him from Simeon Stylites the Younger, Simeon Stylites III, and Saint Symeon Stylites of Lesbos. Charles of Mount Argus, C.P., was a Dutch Passionist priest who served in 19th-century Ireland. He gained a reputation for his compassion for the sick and those in need of guidance. His reputation for healings was so great at the time that a reference is made to him in the famous novel Ulysses by James Joyce. He has been canonized by the Catholic Church. His feast day is January 5. John Nepomucene Neumann was a Catholic priest from Bohemia. He immigrated to the United States in 1836, where he was ordained and later joined the Redemptorist order and became the fourth Bishop of Philadelphia (1852–1860). He is the first United States bishop to be canonized. While Bishop of Philadelphia, Neumann founded the first Catholic diocesan school system in the United States. He is a Roman Catholic saint, canonized in 1977. Wikimedia Commons has media related to January 5 . ↑ A guide to the town of Berne, by a Cantab. 1859. p. 5. ↑ Leese 2007, p. 91. ↑ Reimund Kvideland. "Peter Christen Asbjørnsen, Eventyrsamler, Forfatter, Zoolog". Norsk biografisk leksikon. Retrieved June 5, 2016.